Before you watch live version of "The Only Exception" video, please let the photo stories begin! Question is, are they together? The starting act was Y2K, local rock band I guess? Hope they can rock better and show the face cos that's how people will remember you guys ar. Unless they wanna stay anonymous. Didn't know Paramore got so young's kiddo supporter! Okay here are the photos survived with 1:10 ratio. Hope you guys like it! Hayley the Angel - Saw the invincible wings? 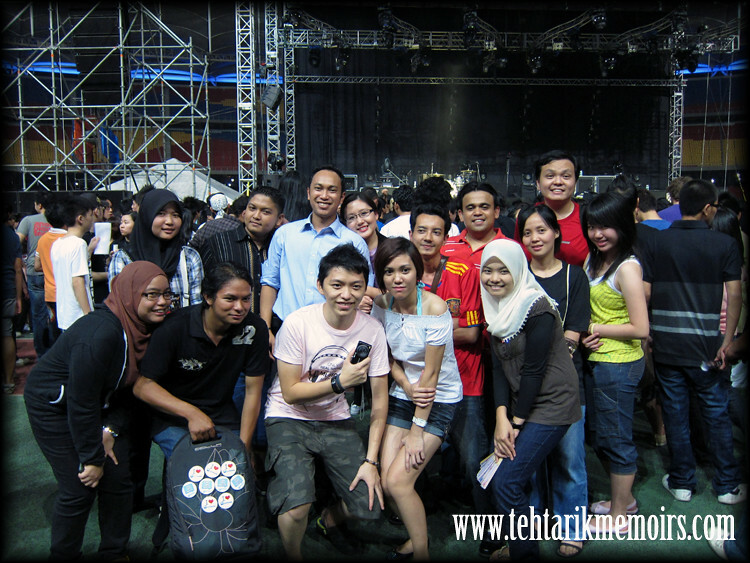 HUGE Paramore Fans in KL~! Hayley definitely should come to Malaysia a lot earlier. You know you have huge huge huge fan base right? Thanks again to Nuffnang and TuneTalk for the RockZone tickets~! Hmm...What's my next concert? Could it be Wonder Girls 1st Live in Malaysia? Here's the video I've promised you. For official photos of Paramore Live in KL from TuneTalk, visit TuneTalk Facebook Page! Definitely =D I am standing surrounded by big fans of paramore~!